Gorgeous socks. The colour and stitch combination makes me think of Spring flowers. Enjoy Stitches. I'm very jealous and can't wait to see what you score! 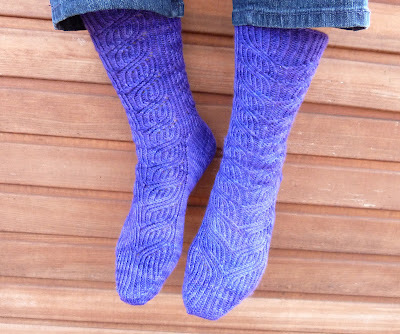 Beautiful socks in gorgeous color! is there room in your suitcase for me to tag along???? Yes, I'm jealous. Love the socks. Happy yarn hunting. So beautiful! I love that pattern, I've knitted it myself! 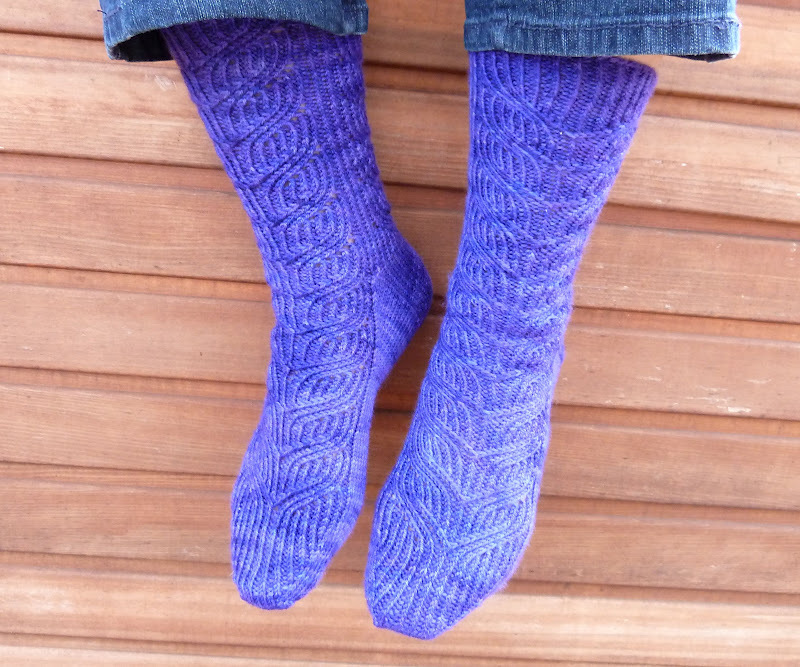 Gorgeous socks. I love the pattern and the colour. I hope you have a great time! Just in the nick of time! Those are beautiful Shannon! Can't wait to see this yesr's yarn pick, I'm bummed not to be there. Enjoy your class with Cookie A! Oh yeah, those socks are gorgeous. I love the pattern AND the colour! Lovely socks. Have a great time at Stitches! Oh wow! Very impressive - great job!! Gah! I totally missed you at Stitches, and I so wanted to meet up!! And now I see we had the same teacher. If we were in the same class, I may actually kick myself. Me: intuitive cable charts. You? Hope you had a fantastic time! !